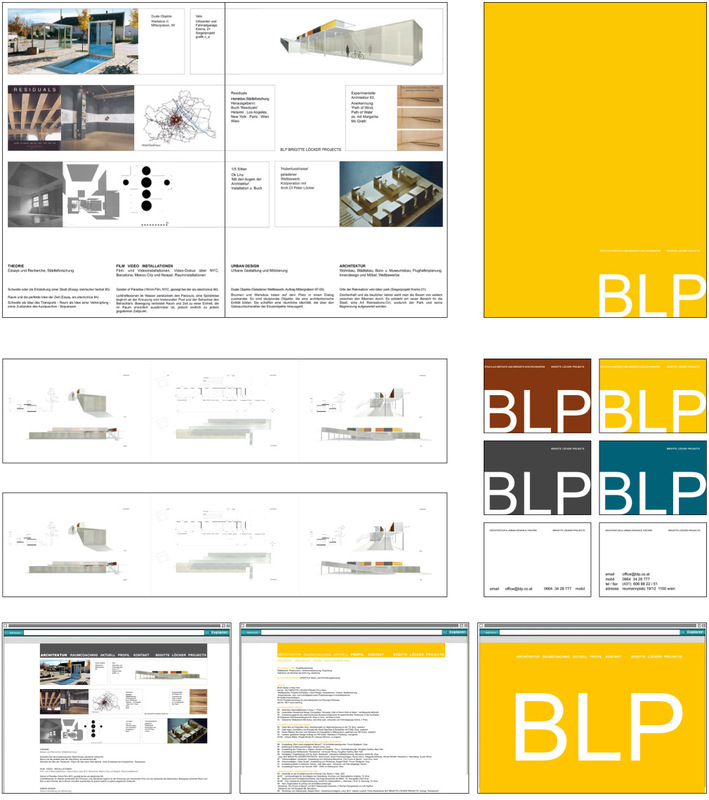 BLP is a cooperative architecture project working in the fields of architecture, theory, art and urban planning. Four main colours where chosen to represent this diversity, the bright colours underline the playful approach and character of BLP. Besides the corporate identity, various presentation materials were designed.